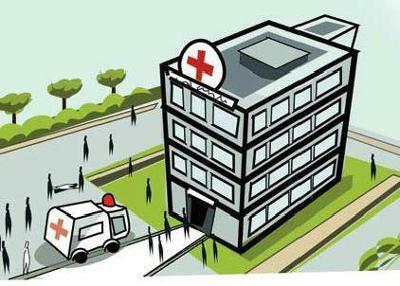 Indore: To improve public health facilities in the 300 more beds have been added to the prestigious Maharaja Yeshwantrao Hospital. The Executive Council of Mahatma Gandhi Memorial Medical College held a meeting chaired by divisional commissioner Akash Tripathi after presentation on how the number of beds can be increased. At the same time, approval for purchasing a blood decoder which costs Rs 1.85 crore was also given during the meeting. The Maharaja Yashwant Rao Hospital (M. Y. Hospital), is a government hospital located in Indore.It is the tertiary teaching hospital of one of the oldest & prestigious medical colleges in India. MY Hospital has 1200 beds with all the major medical departments: surgery medicine, obstetrics & gynaecology, dermatology, chest& TB , orthopaedics, E.N.T., ophthalmology, radiology, anesthesiology, paediatrics, forensic medicine, and casualty, cardiology, neurology, gastroenterology, nephrology, endocrinology divisions are under parent medicine department. Medicine dept. has 18 bedded MICU, 8 bedded ICCU, 5 hemodialysis machine, endoscopy unit, ventilators etc. The Commissioner Tripathi instructed that the Public Works Department should quickly complete the pending construction work in MGM Medical College. “The construction work of 254 bed hostel for nursing students which costs around Rs 10 crore should be completed on the proposed time. Similarly, the construction work for virology and burn unit should be completed on time”, Tripathi informed freepressjournal.